Any Persian will tell you that they love to drink Chai, pronounced Cha-ee. 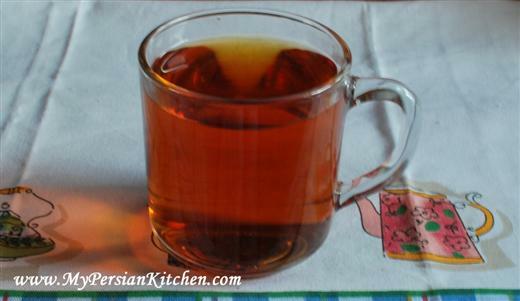 Tea, in general, is what Persians drink in the morning, after each meal, and not to mention throughout the day. Additionally, the first drink that one if offered when visiting someone else’s home is usually tea. 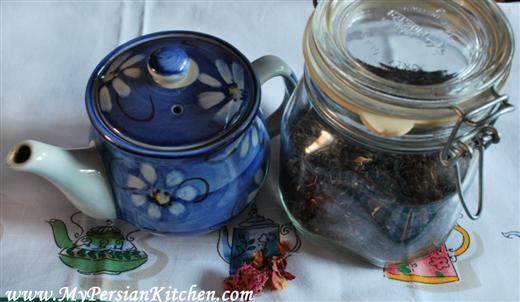 Iranians make tea in their own way which I will demonstrate in this post. Personally, I see this ritual as an art. All you need is a nice teapot, loose tea, and a pinch of rose petals. 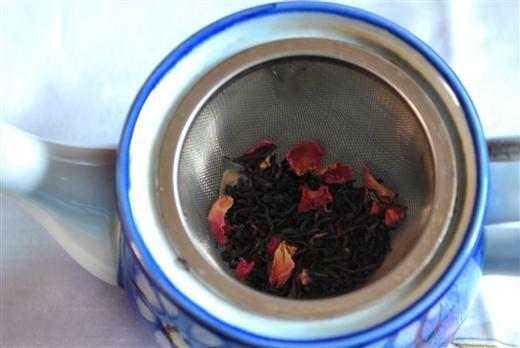 Place a couple of generous pinches of loose tea and one pinch of rose petals in the teapot. Cover and let steep for about 5 to 10 minutes. 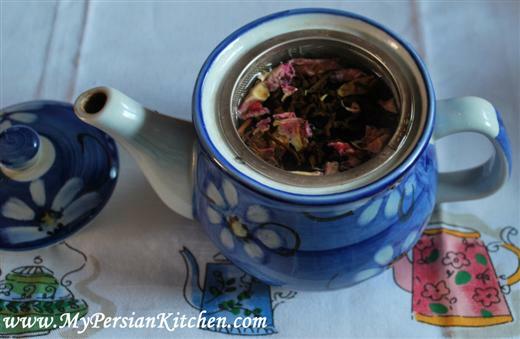 Persians will usually place the teapot on top of the kettle st it simmers on the stove in order to keep the tea warm. 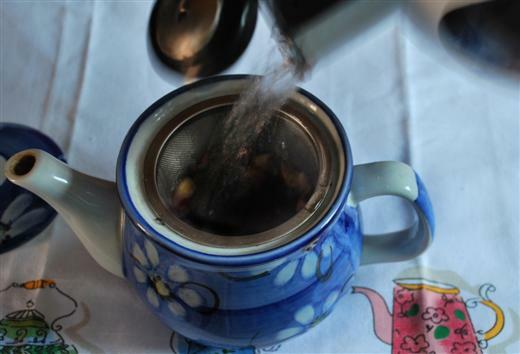 Here comes the Persian way of pouring tea. First pour some of the hot tea into the cup to check its color. It must be somewhat dark. Then pour the tea back into the tea pot. This will do two things: 1) it will warm up the cup and 2) it moves the tea inside the teapot around so that color of the tea is even. If the color is light, let steep for a little longer. Then fill up one third to half of the cup with tea. Pour hot water over it. And Voila! You have Persian tea! 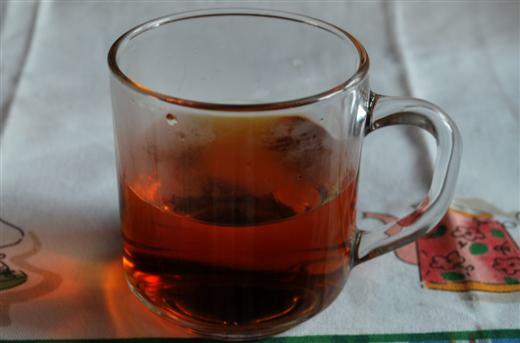 Note, Persians always drink their tea in see through glass cups. This allows the person who pours the tea determine the consistency and color of the tea. 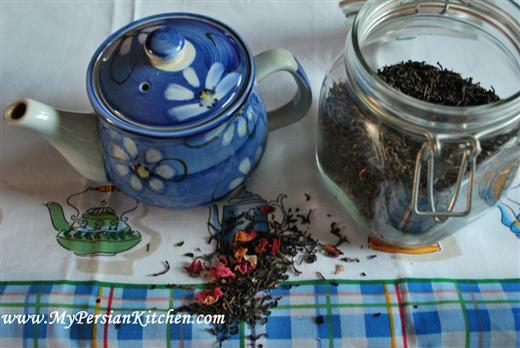 A good Persian host will always ask his or her guests how strong or light they like their tea. Some people like their tea dark and strong, while others like it on the light side. I am a medium type of girl. The color that you see in the picture above is how I personally like to drink my tea. A most interesting blog. 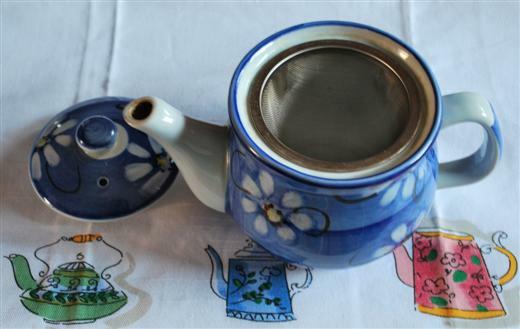 I learned to drink Persian tea in restaurants in California. I have purchased Sadat cardamom tea, but would prefer to blend it myself with high quality Ceylon tea we usually drink. I have only drunk cardamom tea, with no rose pedals (I am allergic to roses) or ginger. No one who refers to blending for yourself has given much information about how much cardamom to use. Is powdered cardamom good to use for tea, and if so, how much do you use if you have one cup of loose tea? That is the real question. I would hate to put too much and ruin a batch of good tea leaves. Can anyone suggest the normal amount? I don’t like using powdered spices as they give one’s tea grainy texture. Sam, if you want to flavor tea with cardamom, use the green cardamom pods, not powder. One or two pods per pot should be enough; add them with the tea leaves and steep, as above. Enjoy! Hello – May I ask where you purchased the clear tea mug? I am looking for something similar. Thank you. Britta, I purchased them many years ago from a Persian store.